Of all the Northern hardwood species, Ash is the one of the densest. The heartwood is light tan to dark brown and the sapwood is creamy white. 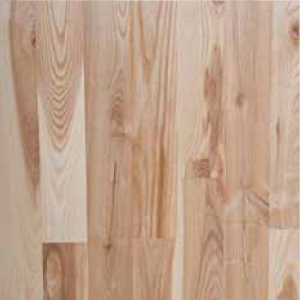 It is similar to white oak but more yellow. 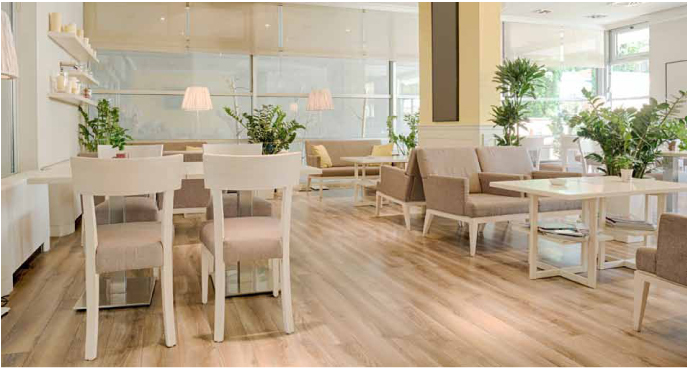 Ash is a beautiful alternative to oak as it has a very distinct grain pattern that is bolder than that of oak. Grain: Bold, straight, moderately open grain with occasional wavy ﬁguring, and can have strong contract in grain. Hardness: 1320 Janka Hardness Scale, 2% harder than Northern red oak. Durability: Elastic, hard, excellent shock resistance. Widths: Available in solid planks 2 ¼” to 5”. Wider boards available on special order. Weight: 2.7 lbs per sq.ft. Color variation between the very white sapwood and darker heartwood is allowed. Pin knots and very minimal mineral streaking are permitted. Average board length is 39”. All character and imperfections are permitted. 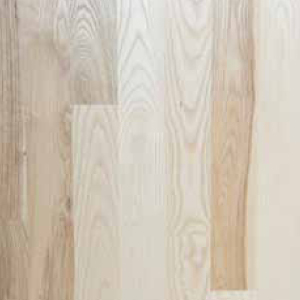 This ﬂooring will have extensive color variation. Pencil width knots are allowed to go all the way through the board. Average board length is 32”. Special order: 3’ or longer, 5’ or longer. Note: Can be ordered up to 12’ on as needed basis. Custom order. Standard Thickness: Available in 3/4” and 5/8”. Available in 9-Ply and 11-Ply Baltic Birch Core, which is extremely stable in all climate applications. Wear Surface Standard: 4mm wear layer, Special 6mm wear layer available for custom order. Website design by AMBIANZ INC.